I got off to a slow start this week, but finished strong. It was another week of all easy, base-building runs as next week officially starts my marathon training! Tuesday: Unplanned rest day. After too little sleep Monday night, I decided a couple extra hours would do me better than a workout. Wednesday: 40-minute treadmill run at the gym after work followed by a core workout. Thursday: I hit the gym after work again for a 50-minute treadmill run and some core work. Friday: It was back to the gym after work on Friday night to kick off the weekend. I got in 30 minutes on the treadmill while watching the first half of the Syracuse game and a quick full-body workout during halftime. 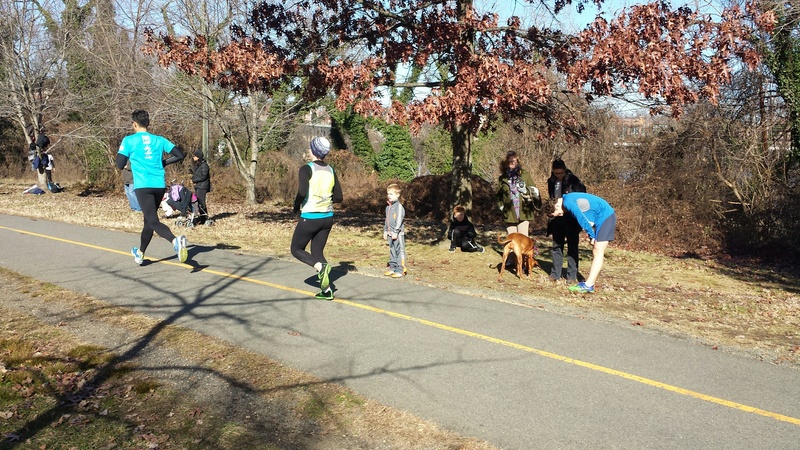 Saturday: It was a beautiful, but chilly, morning for a 40-minute run along the W&OD Trail. 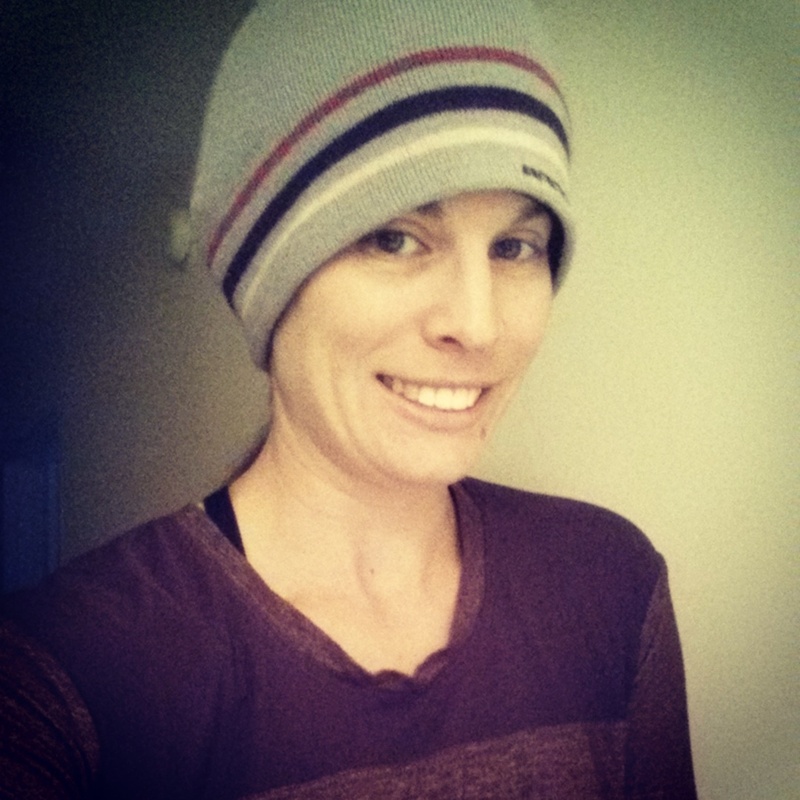 It is amazing how having the right gear on can make a run in cold temps so much more enjoyable though! I also got in some core work later that night. Sunday: I got in a quick and easy 35-minute run along the W&OD this morning before packing up and driving to Syracuse for Thanksgiving week! It was a bit warmer out than yesterday, which I did not realize and totally overdressed. Good thing it was a quick run! Last week was my first one back on a plan and boy did it feel good! I still haven’t decided on which half marathon I’m going to do – and even added another possibility into the mix – but all three are the same weekend in the D.C. area, so I have some time to narrow down which one I want to do. Instead of breaking down the whole week day-by-day like I used to, I thought it’d be fun to switch it up a bit this time and share the highlights as well as my favorite workout – or workout of the week – as I go along. I’m trying to recap them each day on Instagram and twitter, so if you have any desire to hear all the deets, follow me on there! 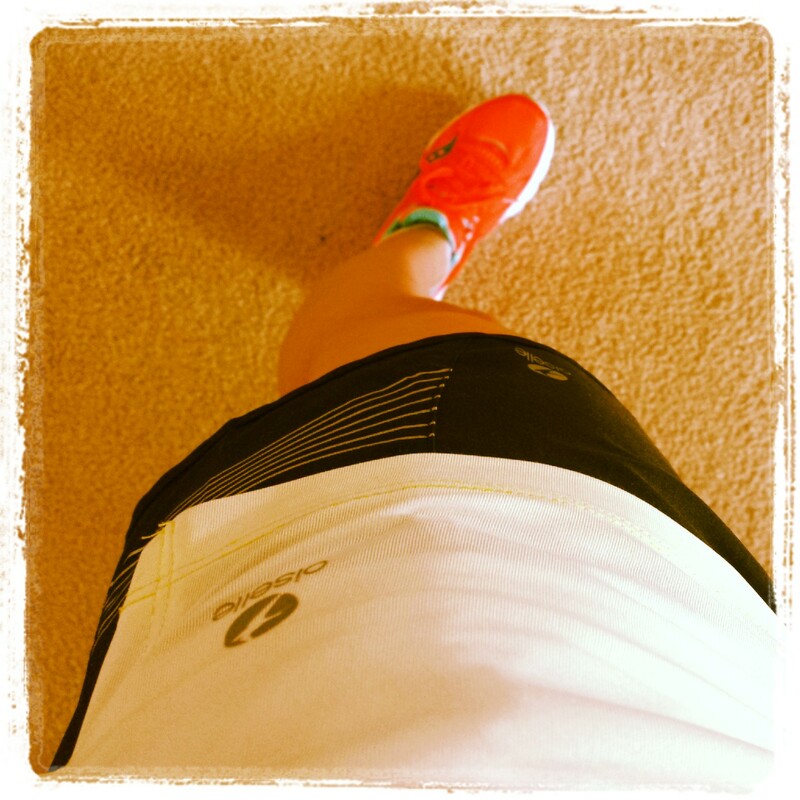 Running in my brand new Saucony Kinvara 5s (they fit like a glove!) that I won in a Pacers contest, I put in nearly 40 miles over the course of six runs along with a spin class, some strength work (not enough), core workouts, stretching and a lot of rolling. It was one crazy weather week here in the D.C. area. 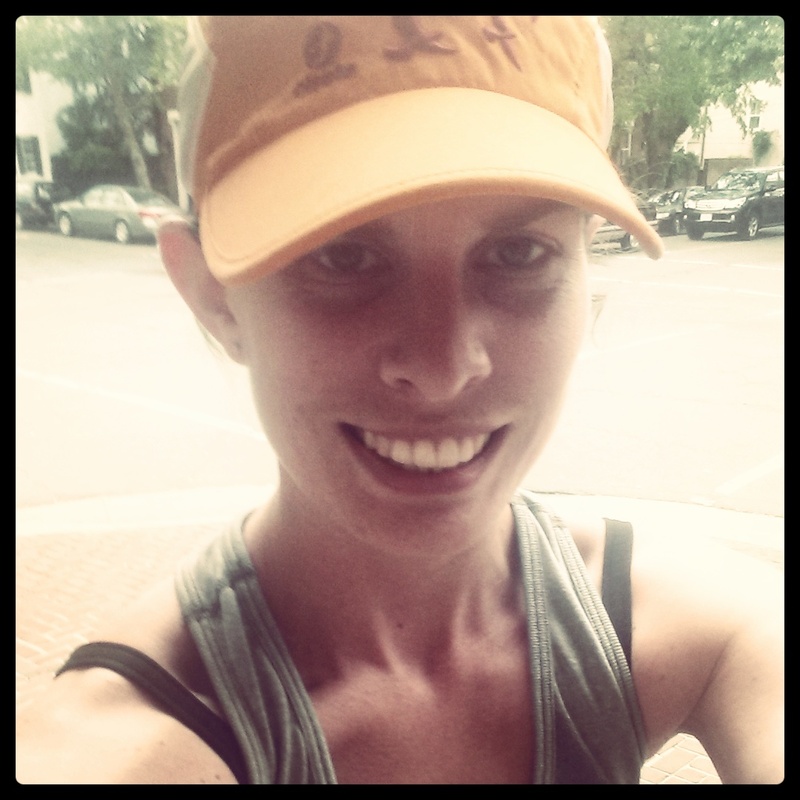 I ran in near 90-degree, high humidity weather and also had a few perfect mid-50s, low humidity morning runs! My workout of the week was definitely my long run. Granted an 8-miler would probably be considered mid-week mileage during some of my old marathon training plans, it was a good distance to start out at for half training. I was up early on Sunday and greeted by sunshine and absolutely perfect running weather! 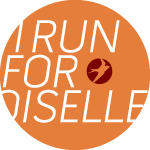 Gearing up for Saturday’s run…the bum wrap Oiselle skirt made it’s first appearance of the season! I put on a tee, my rogas and compression sleeves and was out the door to a nice, quiet Sunday morning. Other than other runners, the streets were pretty empty. I love how Sunday mornings in Arlington/DC are so sleepy and quiet – such a difference from the normal hustle and bustle of the area. I set out on one of my favorite routes that I used to take from my old place all the time, but haven’t done once since moving last July! 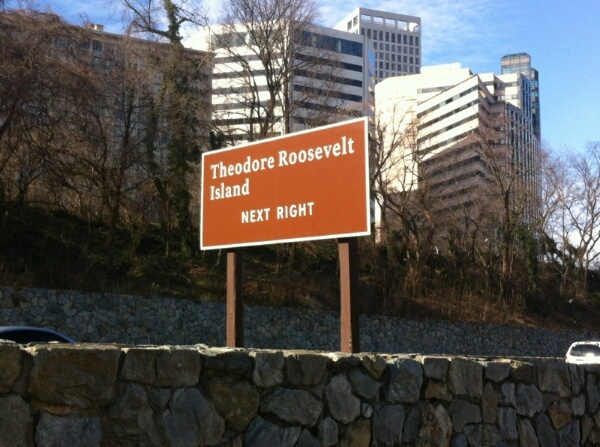 I scooted up to Wilson/Clarendon Boulevards, the main streets running through the Rosslyn to Ballston corridor, and headed down the hill and over the Key Bridge into Georgetown. 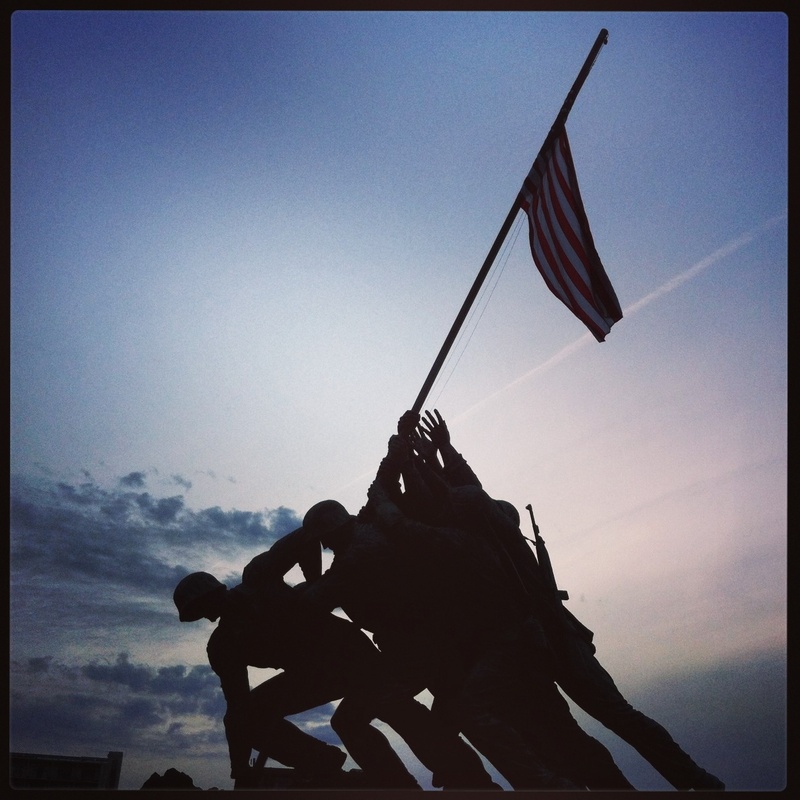 After a jaunt down M street I briefly ran along the Rock Creek Park trail and headed off by the Kennedy Center before starting my return loop over the Memorial Bridge, past the Iwo Jima Memorial and back up the hill to home. Like all of my runs this week, it was at an easy pace, but without even realizing it, I ran 30 seconds a mile faster than my run that was 2 miles shorter the morning before. My last mile that included ups and downs, but mostly ups, was also my second fastest – only falling behind the all downhill mile – and I felt like I could have kept going. I love that feeling of finishing strong! 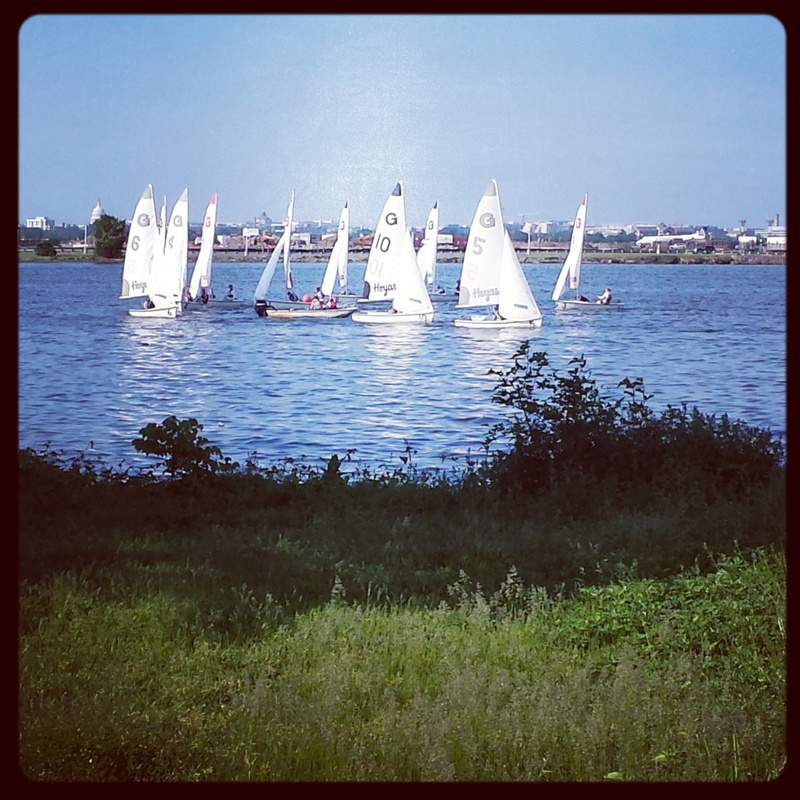 I’m counting week 1 of training as a success! How did your week go? Any stand out workouts you want to share? Do you have a goal race on the horizon? Let me know in the comments! Hi everyone! It’s been far too long since I’ve posted, but I’m back and ready to get back at it. I’ve been crazy busy lately and in addition to neglecting my blog I haven’t made time for reading a lot of the many other blogs I enjoy. Time to fix that! Aside from being busy I’ve been a bit off my running game lately, which I think in turn knocked me a bit off my writing game too. I even skipped a race last weekend because I knew I wasn’t in shape to race it and didn’t want to be embarrassed by my time. Not super proud of that, but what can you do?! Now I’m looking to turn things around. I’ve got my sights set on the Cherry Blossom 10 Miler as a goal race now in hopes to get things going by then. I downgraded from the half marathon to the 8k for Shamrock so I can really race that weekend instead of trudge myself through a half marathon I’m not ready for. I’ve done that before – it’s not fun! It will be a blast however to cheer on my teammates doing the half and the full that weekend. Cross training and core work – and lots of it. I made it 21 days plus without a soda. I’m back to drinking it now, but not as often! I’ve been reading a lot more. I set a goal of getting through a book a month this year, but already cranked through three of them in January. Reviews to come. So much wedding stuff! The wedding isn’t until October, but my fiancé and I have been on a roll getting things done like the wedding website, save the dates and more. Expect another post on this too! 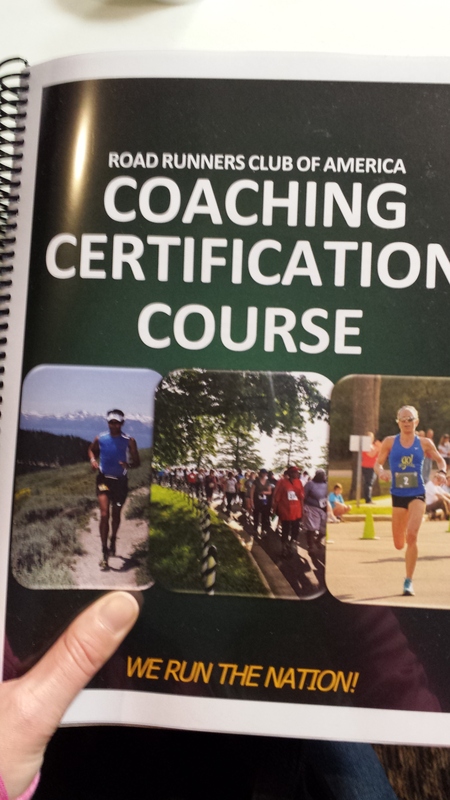 Took an RRCA Running Coach Certification Course – yes, you’ll hear more about this one too. Family fun! I spent a weekend down in Florida visiting my grandparents. I also got to hang out with my Mom for a weekend while my Dad enjoyed some warm weather on a golf trip to Florida. Well I’m a bit behind with my usual Monday morning recap, but still wanted to fill you in on how week 2 of my Shamrock training went. Overall, it was a really good week of workouts although I have to do a better job of figuring out how to integrate my spin workouts into my run schedule. I always have good intentions of still running, but once I’ve finished spin I don’t quite have the same level of motivation. I think this is fine on my 3 mile easy run days, but I don’t want spin to replace any of my quality runs. 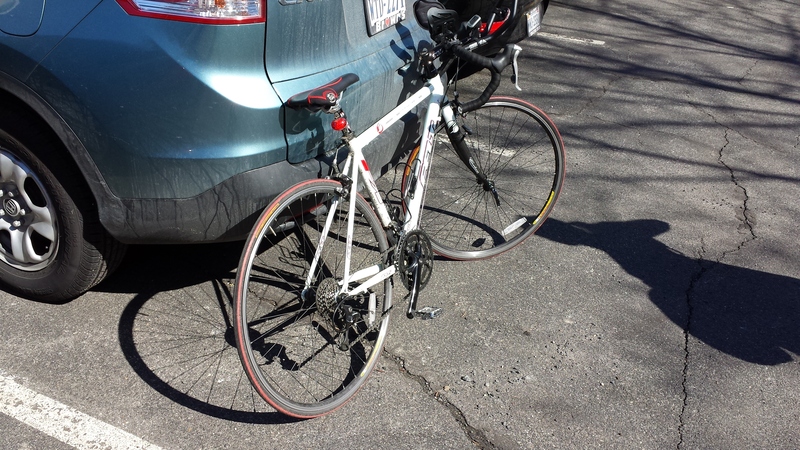 Monday: Spin Class – Real ride at Revolve. Tuesday: I put in 3 easy miles on the treadmill followed by my P90X routine and a leg workout. 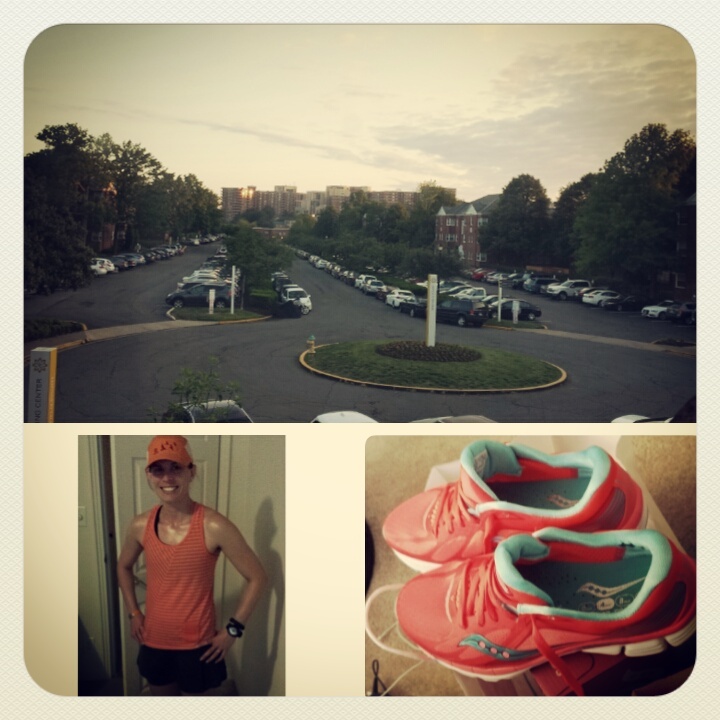 Wednesday: I ran the DC Road Runners Predictions & Resolutions 5k in Rosslyn along the Mt. Vernon Trail as a fun training run. It was definitely not close to being one of my speedier 5ks, but I had a blast and it was a beautiful day for a run! Thursday: Spin Class – extended body ride at Revolve. Friday: I took my speed workout to the treadmill with 7X400 meter repeats followed by an abs and lower body workout. Saturday: Spin Class – extended body ride at Revolve. Sunday: I debated between my missed tempo run or my scheduled long run, but was really feeling the need to work on some speed so I went tempo run. It turned out to be a great decision and I rocked a 45-minute tempo run maxing out at roughly a 7:13 pace!